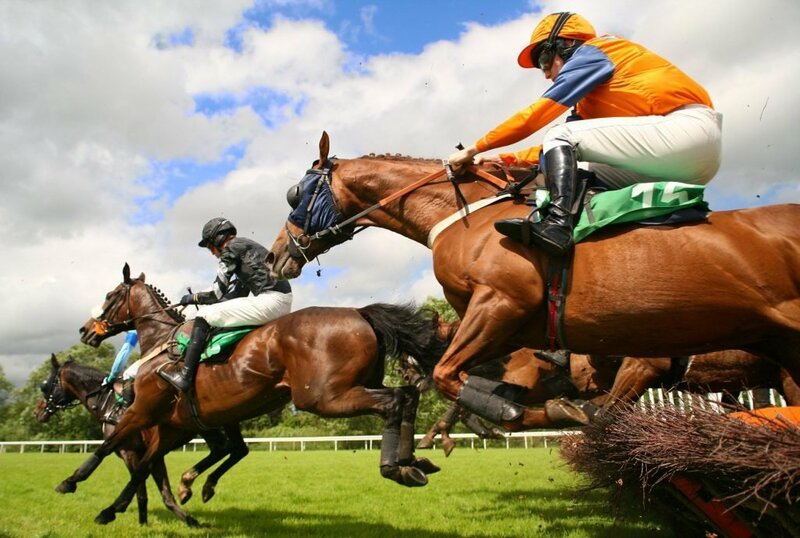 On Saturday, April 14th an estimated quarter of the UK's adult population will be betting on the 171st official running of the world-famous Grand National Horse Race annually held at Aintree Racecourses in Liverpool. Famed for its unpredictability the most significant hunt race in the country draws a whooping crowd of over 70.000 to the tracks and over 10 million will cheer for the competing runners in front of their TVs. Yes, the entire world will be watching the Grand National. And all the more so, bettors. That’s why, in this article, we offer you the latest information on the best sportsbooks you should choose to register with before the event. Also, we provide you with details on types of bets to place during your Grand National betting adventure, dedicate a section on the 2018 runners, offer you a brief history of the Grand National and more. Perhaps more importantly, we want to dedicate a part of this guide to players who are new to betting on 2018 Grand National. Grand national 2018 betting: which horse to be on? All the top operators will be offering great content and tips around the Grand National. Even people who rarely bet cannot resist placing a wager on a horse at this time of year. If you want to join in with them, here are the ones we recommend when betting on 2018 Grand National. William Hill claim that they have the best odds on the market and this is probably true. This king of bookmakers has a very special offering when it comes to betting on 2018 Grand National. Horses and races are on the site months in advance, so if you like a risky bet you could base your wager purely on past performances. However, if you don't want to rely on luck, William Hill has a little section which indicates tips. This is a very useful tool which will give you access to expert handicapping insights supported by top publications like the Racing Post. Many punters may be sceptical of bookmakers but bear in mind that their tipsters teams really are made up of true Steeple Chase Pro's. Horse race betting is more of an insider's game than any other form of sports betting, a good tip can get you far. Although William Hill gives punters a run for their money, Betfair is arguably better for newbies. The tips provided by William Hill can be quite technical and numerical whilst Betfair has good blog posts which summarise things well. They have a regular news section in the lead up to the event which is written by insiders, this means that you gain a really intimate perspective into betting on 2018 Grand National. You can also find all the betting news from other Grand National editions, if you read that and compare the results of the actual races, it will be a no-brainer to realise how accurate their suggestions are. Any trio of best operators is incomplete without Ladbrokes. However, even though we highly recommend Ladbrokes, they slightly lag behind their competitors when it comes to extra features and tips around the race. 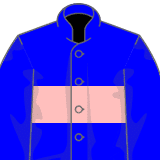 They do have a unique take on this competition as they provide a full history of Horses who won throughout the years, this can certainly give punters a deeper insight when betting on the races. 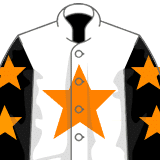 To get the most out of your betting on 2018 Grand National experience, we recommend you to look for trends that happened over and over throughout the Grand National betting history. For example, not too long ago, bettors were convinced that horses that carry 11+ stones seldom win the race. The 2015 edition proved everyone wrong when a giant of 11st 9lb changed the way we look at odds. Maximise your chances of winning and remember that when placing a bet before the big race, only 40 horses will be scheduled to run on the day. This means that if you want to bet on a horse listed as number 53, it will be unlikely for you to win that bet. As an alternative, you can have an ante-post bet on a horse that will definitely run that day. Take into account all the reasons why horses may be dropped out; anything from injuries to loss of form can shift the odds of you winning. Betting on a horse listed above number 40 will decrease those odds even more. Proper research and knowing the history of each horse and jockey are key elements to help you have a successful go at the Grand National betting this year. You should definitely investigate the runners and winners of the latest editions of the Grand National. Dig for common codes and denominators that could have made their performances so magnificent. Betting on 2018 Grand National is, after all, connected very much to luck so you can never know for sure the outcome of your bet. Nonetheless, it’s always safer not to leave everything in the hands of chance, so try to foresee as much as you can which horse can ‘run in your favour', so to speak. While professional punters already know their way around huge events like this, those who are just discovering this realm need a little bit of a boost. That’s why we have selected for you the most important things and facts to know before betting on 2018 Grand National. To put it simply, every horse that takes part in the Grand National gets allotted a certain weight. This is a vital procedure that determines the prospects of everyone involved (jockey, trainer, owner). In order to create an equalitarian system, handicapping is something you ought to grasp well before placing your bets on a certain horse. What to remember is that you should look for the horse that carries the best amount of weight. While it’s not a set-in-stone rule, the last few winners of the Grand National have proven that horses with higher weights are also worthy of a big bet. Prior to this, the majority of horses with higher weights were struggling in the races. In terms of handicap marks, the best horses will get higher rates (check out Many Clouds – the winner of the 2016 Grand National) which was rated 160. Punters have one major advantage at the Grand National: every single paper in the country is talking about it. This means that there is more handicapping information around the Grand National than almost any time of year. This is very useful because betting on hurdle races can be a little more challenging for punters who are used to flat races. Less experienced bettors should utilise all the resources provided by the top horse racing betting magazines and papers. Some publication may even offer specialised pdfs focused on the Grand National. You should also visit Youtube as all the main operators will often have very valuable tutorials about how to fill in a betting slip as well as specialised and accurate handicapping tips. Should you take the horse’s age into account when betting? The youngest horse to win was 8 years old (2002). How important is the condition of the turf? This ranking is determined by how wet/dry the turf is. Generally, at the Grand National, the turf is classified as good/good-to-soft. Does this affect the chances of a horse's winning performances? Of course. While nearly all horses can run on multiple types of turf, some may prefer a certain kind. Not the softer grounds though – fewer horses finish the race on this. The quicker the ground, the faster will the horse run, but this is also much more dangerous for the horse and the jockey. As an example, in 1990, the winner completed the race in 8 minutes and 47.8 seconds (on lively ground). Alongside last year’s winner, these were the only times when horses have finished below the 9-minute record. Good type of turf, right? What’s the best place for a jockey to start? This very much depends on where they want to be. The position can vary from being closer to the inner rail or going on a wider route around the outside. The latter option gives horses the chance to get a better view of the fences. Overall, it’s sometimes best not to stay too far behind from the start; going head first at the beginning doesn’t always guarantee a good finish either. Should you bet on the favourite? If we look at the total of favourites who won the race starting from 1950, we are in for a surprise: only 7 winners. When can you tell who the winner will be? 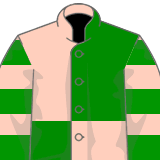 Over the last couple editions of the Grand National, the winner emerged within the last part of the race. So, it's pretty difficult to predict the big outcome. A few years back though, the race was much more tied-up, with nearly 12 horses racing at the nearly exact speed when one got out of the crowd and outshone them all. In other years, a group of three horses were fighting shoulder to shoulder up until the last moment. According to the latest official confirmation stage, 105 entries so far remain in the contention for the greatest prize money on offer so far: £1-million. But only 40 of them will be allowed to line up on Saturday, April 14th to start in the 171st running of the world-famous race. Blaklion, an eleven-year-old horse, finished on position 4 last year in 2017, but with a handicap of 11-06, he might not be in a superb form this year. Total Recall is pretty new to the race, the nine-year-old has been only running for a little over than a year, but he showed many improvements over the course of his race. Cause Of Causes nearly brought the second Grand National prize to his trainer, Gordon Elliott. So, keep an eye on him too. The full list of starters can be found on the official Aintree Grand National Website. According to your level of confidence per wager don't forget that the straight bet is not the only one out there. Many punters focus on bets that require a greater level of precision but you can also win by repeatedly taking away small sums with Combination Trio bets. Lower stakes have higher odds and the winnings can certainly add up. 1866: Edward Studd (trainer and owner) won a bet of £1,000 at odds of 40/1. Today, that’s a bet of about £3 million. Not too shabby! 1953: Joe ‘Mincemeat’ Griffin (owner) was told by Vincent O’Brien to place a bet in the race. The owner got £100,000. 1993: Peter Walker (amateur ride) placed a £10 at odds of 1000/1 (William Hill) on the fact that we will be the oldest man to ride the National. Back then, he was 54. He hasn’t won yet. 1993: Judy Higby from Herts wanted to bet that the Grand National will be cancelled because of a premonition of hers. The bookmaker didn’t take her money because it was too obvious to them that this won’t happen. The 2933 Grand National race got cancelled and since then, it’s called the race that never was. 2003: Mike Futter won £1 million (and the biggest wager was of £10,000 at odds of 50/1; it’s how he got £500,000 in one shot). 1983: Peter Rogers (headmaster) placed a wager that he will compete the Grand National course with no horse. After doing it in less than an hour (40 minutes), we won the bet of £6,000. All the money went into school funds. 1971: Lord Poulett dreamed the horse that will win the race. He hired the jockey (saw in the dream) and won. The Grand National has been around since 1839 and it is one of the most popular horse racing events of the year. Held at Aintree Racecourse in Liverpool, this competition attracts thousands of viewers who attend the track in their finest attire. Aintree is now the global capital of Steeple Chase racing and it is a remarkable track consisting of two circuits of 16 races, horses who take part in the Grand National must cover a distance of 4 miles and three and a half furlongs. Therefore this is a challenge of both technique and endurance for both horse and jockey. Most importantly, there is a lot of money to be made. Bookmakers will have the best deals around the Grand National and there is a huge quantity of races to wager your money on. In 2015, Carrie Ford, jockey of Forest Gunner described the race saying ‘I loved it — it was a thrill of a lifetime. It was a better class of race than when he was here the last two times. He kept up with them to the last fence.’ Let’s hope you can say the same thing about your experience of betting on 2018 Grand National betting.